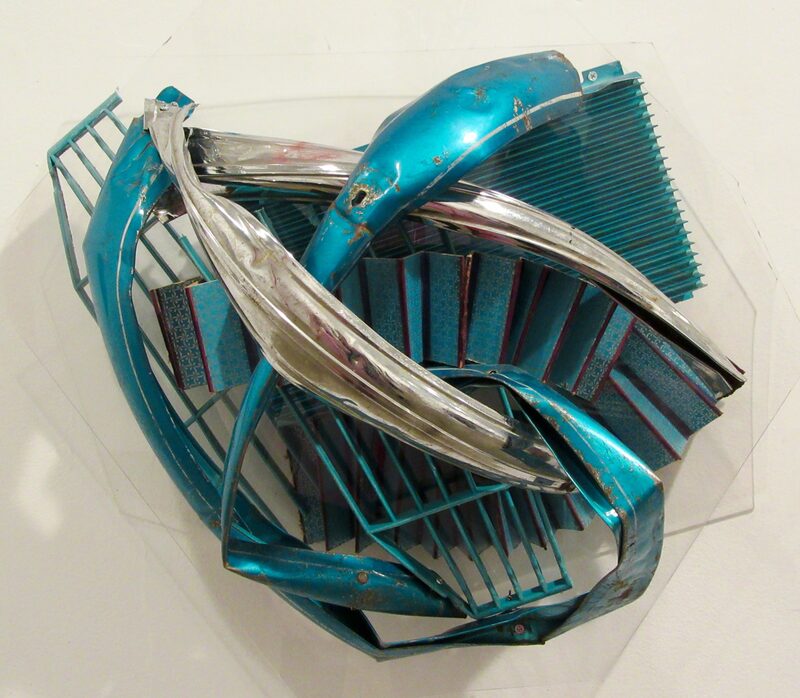 We walked into an exhibit by Kathleen Bennett Bastis in the middle of last week’s art crawl, and what stood out for me most was this piece, Tangled Up In Blue which instantly reminded me of the work of John Chamberlain, although on a much smaller scale. The sculpture, made of found and repurposed metal, plastic and paper is part of Tossed and Found, Bastis’ second solo at Chelsea’s First Street Gallery, in which she continues to explore and celebrate the inherent beauty of found objects that are cast off, washed up, worn out and walked over. You can see the rest of Tossed and Found on Exhibit Through May 20th, 2017 at First Street Gallery, Located at 526 West 26th Street, Suite 209, in the Chelsea Gallery District.